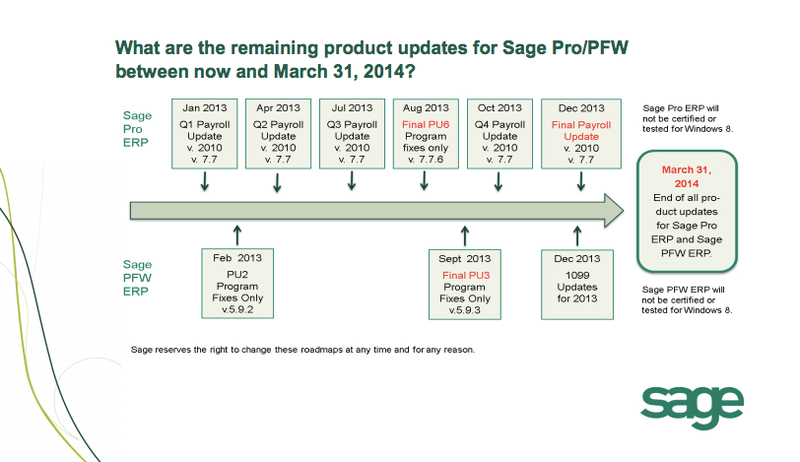 In case you haven’t heard – Sage Pro ERP and Sage PFW ERP customers have until March 2014 to migrate to a new Sage product. Support for both of these products will cease as of that date and future upgrades and support will either be non-existent or very scarce. Software is retired for a variety of reasons. These reasons include lack of continued support by outside suppliers, as well as the obsolescence of the technology and level of functionality offered by the product. functionality already built in, interface with Sage Connected Services and Sage Common Solutions, and are supported by an eco-system of independent software vendors providing applications for virtually every business need. 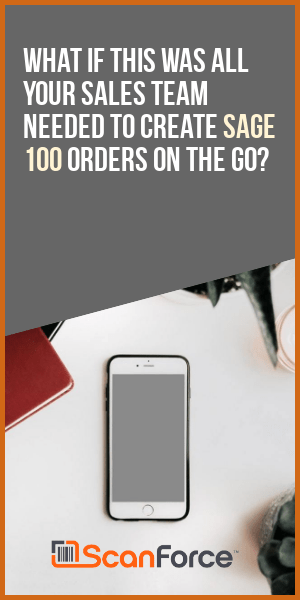 We believe that products such as Sage 100, Sage 300, and Sage ERP X3 are better suited to fulfill our customer’s business needs, especially for those customers who are in the services industry, wholesale distribution, or manufacturing. Take a look at the portfolio of strategic Sage solutions and you will be amazed what they can do.